I'm having a hard time finding these. The above link didn't take me to any topic postings just the general patio. Forum > Welcome Center > Announcements is where we are now. Go back up a step to Welcome Center and dive into The Patio. Then you'll see all topics in the Patio, and the ones Leslie is testing are numbered 1-28 or so now. So look for number 1! Hope that helps. (04-04-2017, 02:08 AM)mama2lots Wrote: Here is a screen shot of the message. 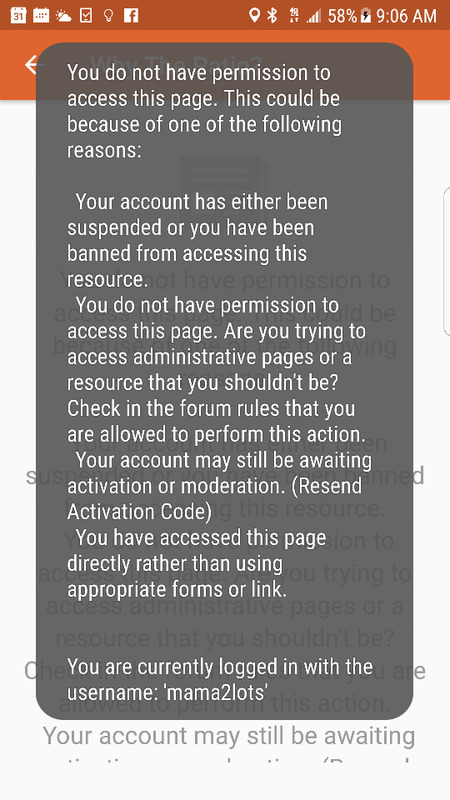 I just started getting this message too. Are you in Tapatalk or the web browser? Would it work for me to copy and paste these into an email for a friend who is considering AO? This is bite-size CM/AO. Perfect!!! (06-07-2017, 08:05 AM)hosanna Wrote: Would it work for me to copy and paste these into an email for a friend who is considering AO? This is bite-size CM/AO. Perfect!!! Well, they will be sent via email to new members who want it, once the edits are done. So she could sign up directly, or you could and forward it on. Of course, if you need it now, I guess you can do it that way. (06-06-2017, 02:03 PM)lklivingston Wrote: Are you in Tapatalk or the web browser? I'm interested!! What do I need to do?